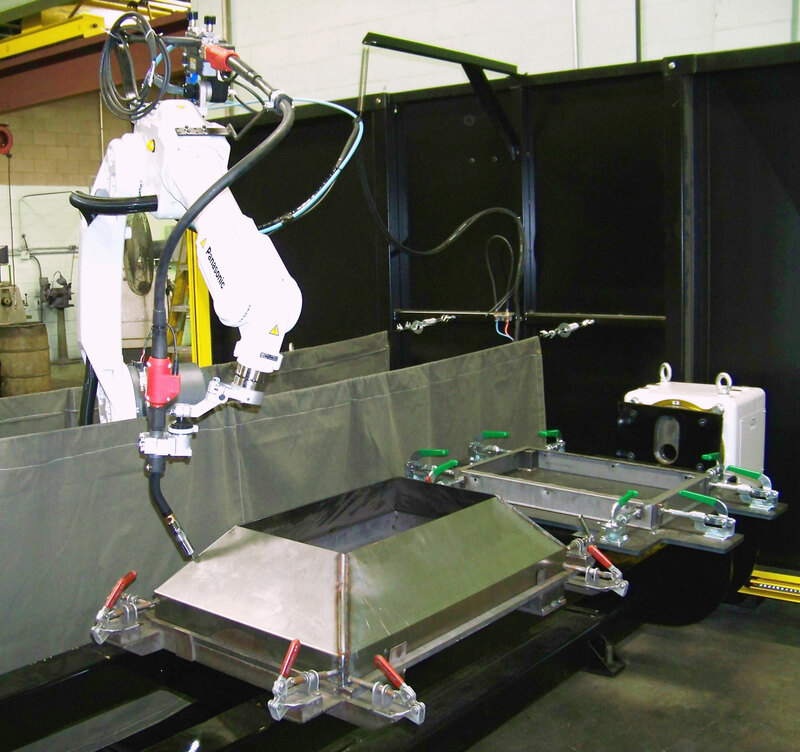 Robotic welding of production parts. Consistent welding of all part. Capable of both continuous and intermittent welds. All weld in the same location from part to part.